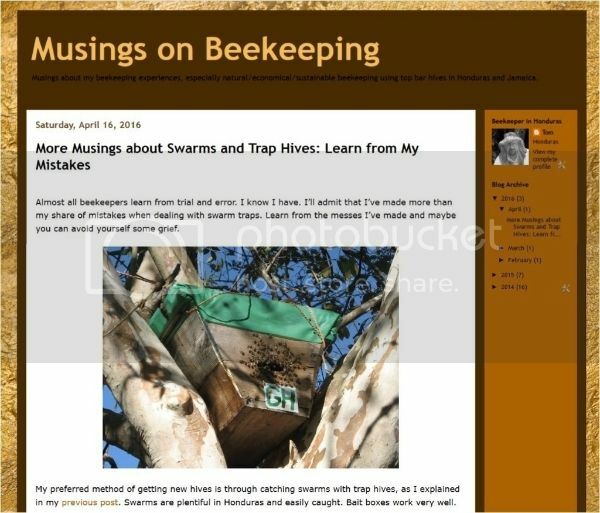 Almost all beekeepers learn from trial and error. I know I have. I’ll admit that I’ve made more than my share of mistakes when dealing with swarm traps. Learn from the messes I’ve made and maybe you can avoid yourself some grief. My preferred method of getting new hives is through catching swarms with trap hives. Swarms are plentiful in Honduras and easily caught. Bait boxes work very well. However, I prefer to use top bar hives for my beekeeping and I have to work with ornery Africanized bees. I don’t have all the conveniences in Honduras that I would have back in the United States. These issues have probably caused me to have more than my share of bad experiences.